This mega decoratively designed bracelet features a bevy of colored stones and diamonds that will get you excited every time you wear it. 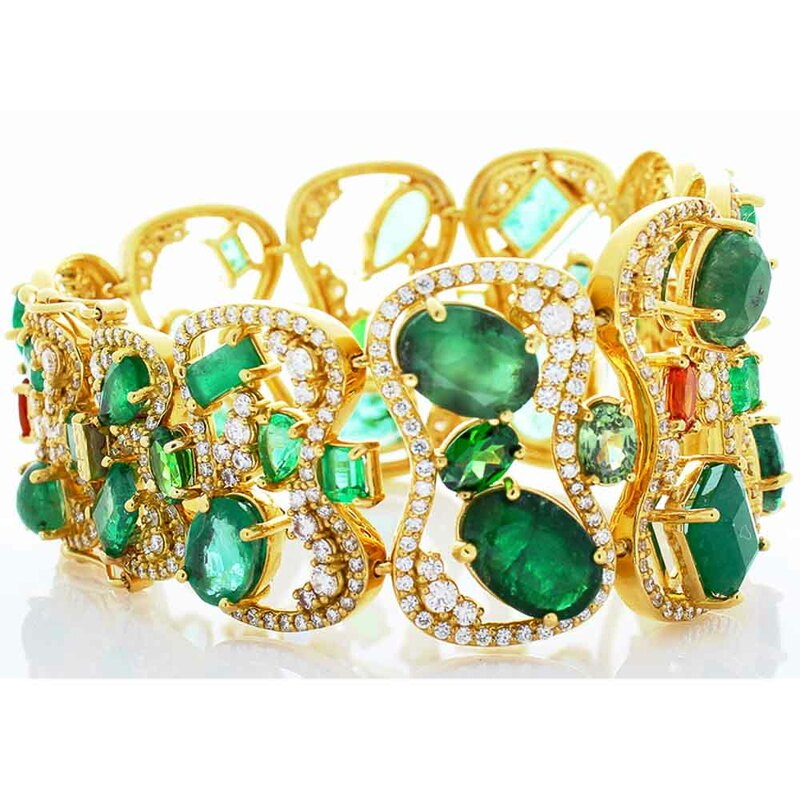 An impressive 44.10 carats of mixed cut green emeralds adorn this bangle bracelet in hour glass shaped links. The gem source is Zambia. Accentuated by 8.80 carats of multicolored sapphires and vivid green tsavorite garnets, from Tanzania, finish this dynamic display. 9.12 carats of round brilliant cut diamonds line this incredible look in brightly polished 18 K yellow gold. Perfect for those who love high-glamour and originality.